The 2019 Ford Escape is all about choices, with a range of powertrains and trim models to suit your personal tastes - whether you prefer speed, fuel-economy, or all-out luxury. 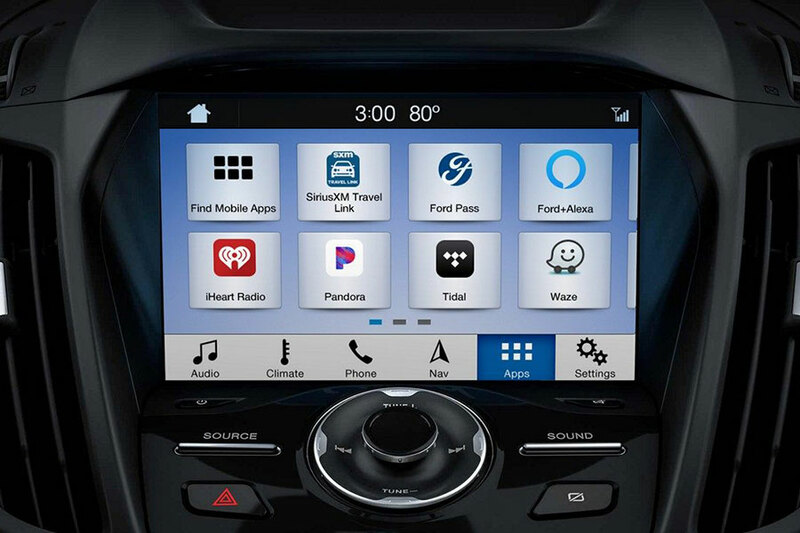 This year, all but the base Escape S come standard with Ford's Sync 3 infotainment system, which does a great job of keeping you connected without distracting you from traffic. The Sync voice controls are intuitive, so it's easy to access features without lifting a finger from the wheel. The system includes Apple CarPlay and Android Auto, which displays apps on the 8-inch central touchscreen. You can even use your phone's voice controls - just press a button on the steering wheel to have the system read your texts aloud. Even total smartphone addicts can keep their focus on the road. But that's not all. Both the 2019 Ford Escape SE and SEL now come standard with keyless entry and push-button ignition. These timesavers might be small, but you'll wonder how you ever lived without them. Why choose the 2019 Ford Escape? This compact crossover has mass appeal, with thrifty engine options, powerful engine options, roomy seating, and high-tech smartphone integration features. The 2019 Ford Escape offers three engines and optional all-wheel drive, so you can create the ride that suits your need for speed, fuel economy, and winter traction. This crossover also impresses with its sharp steering and capable handling - you'll feel like you're steering a car around town. Inside, the Escape is roomy, with supportive seating and options like upgraded cloth upholstery to maximize comfort. All but the base model feature complete smartphone integration, so you can stay connected without lifting a finger from the wheel. Which 2019 Ford Escape trim level is right for me? 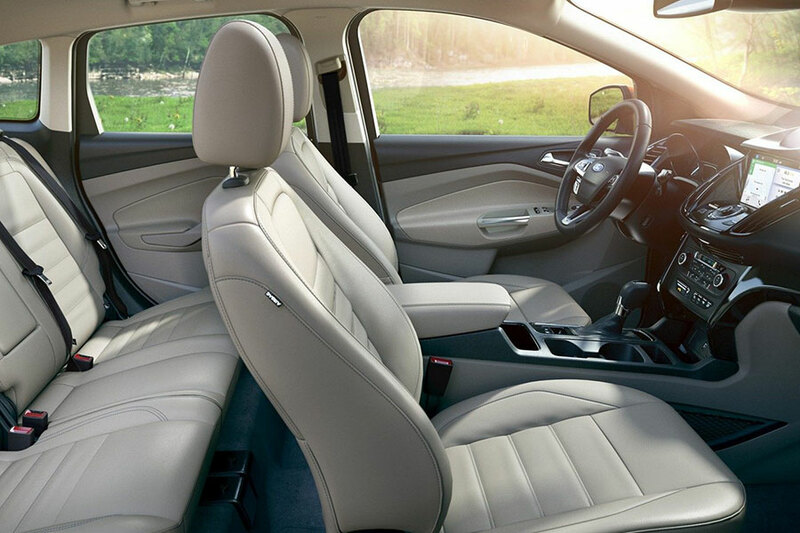 S: The entry-level Escape offers the best deal on family-friendly seating. The Escape S also comes standard with some smartphone-savvy gear, including Bluetooth wireless connectivity and a USB port. SE: Upgrade to the Escape SE for the most efficient engine, the turbocharged 2.7-liter four-cylinder. In addition to saving you the most on fuel, the SE enhances utility. Load up your kayak on the standard roof rails. Use the push-button ignition to hit the road in style. The Escape SE also upgrades your connectivity with Apple CarPlay and Android Auto capabilities. You can use your phone, music, and maps smartphone apps from the SE's 8-inch touchscreen. SEL: The SEL gives you a good deal on luxury. This crossovers includes a long list of comfort features but doesn't cost as much as the top-trim Titanium. Inside, you'll find upgraded cloth upholstery and a leather-wrapped steering wheel. The nine-speaker sound system with dual USB ports upgrades audio quality and keeps extra devices charged. Titanium: With ambient interior lighting and a power liftgate, the top-trim Titanium aims to make your ride both more stylish and more convenient. This crossover comes standard with every imaginable tech feature - from navigation to the 110-volt, household-style power outlet - so you can stay connected wherever you go. What's the 2019 Ford Escape gas mileage? If you're looking to save the most at the pump, check out the turbocharged 1.5-liter four-cylinder engine. This Escape engine earns up to 23 city/30 highway mpg, so you can balance generous power with a strict fuel budget. With three engines and optional all-wheel drive, though, you can tailor your Escape so that it falls anywhere on the spectrum between athleticism and fuel economy. When you add all-wheel drive, the Escape is both sportier and safer, with more traction to stick corners and maintain precision on icy pavement.